One of the gaming blogs that I follow is MmoQuests.com, which is not just about MMOs but also a lot of different games. 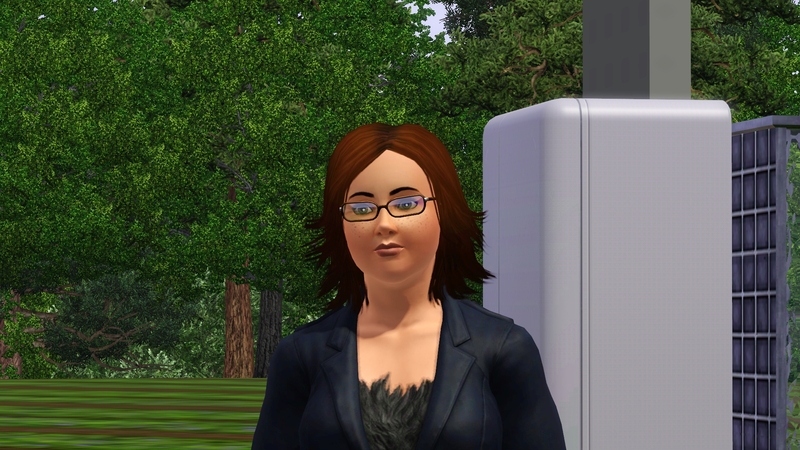 One of the games Stargrace talks a fair bit about is The Sims 3, in particular her legacy families. The Legacy Challenge has you begin with a single founder, a huge lot, and almost no money to furnish it. You then have to continue your founder’s family line through 10 generations and try to build up your house, your money, and your fame. I tried playing a family “normally” for a little while, but I found it was a little too easy to do. So while I still knew barely anything about the game, I began my legacy family on the custom map Legacy Island II. I decided to go with space-themed names for my characters, and so my founder was named Terra Nova. I purchased the plot out in the farmland-ish area, next to the equestrian building. 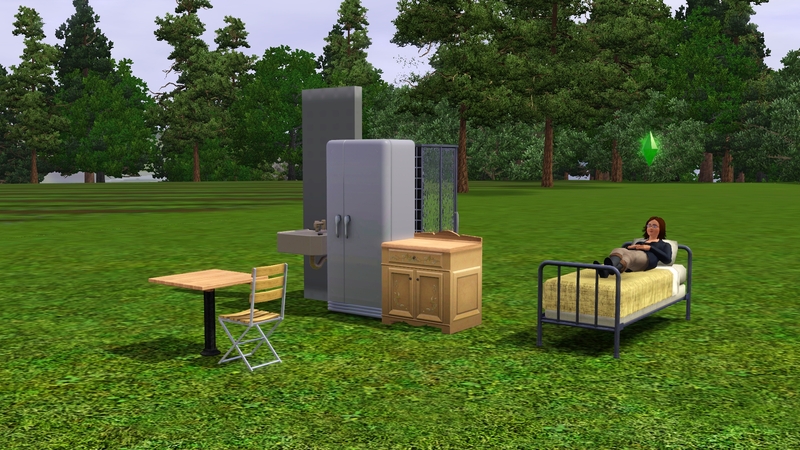 Because the plot cost $14,700, I only had $1,300 left to furnish the place. This meant that Terra only got the cheapest necessities: a bed, a shower, a toilet, a sink, a fridge, a counter, a table, and a chair. The only reason she has the one wall is because the toilet is required to be against one. I decided to make her a self-employed inventor because it sounded fun and there was a junkyard with workbenches in the town. I soon discovered that maybe my lot wasn’t the best one to pick since it was near the edge of the island, and the junkyard was all the way on the other side of town. Contrary to my personal experiences, taxis aren’t terribly fast in The Sims. Still, it was an interesting job and Terra was taxied back and forth as often as she could. In her off time, she visited the community center in town, which was a library/internet cafe/music studio/artist studio where just about everything was free to use. Which is great when you’re dirt poor like Terra was and you want to learn something. This is also where she met Darren the food merchant. 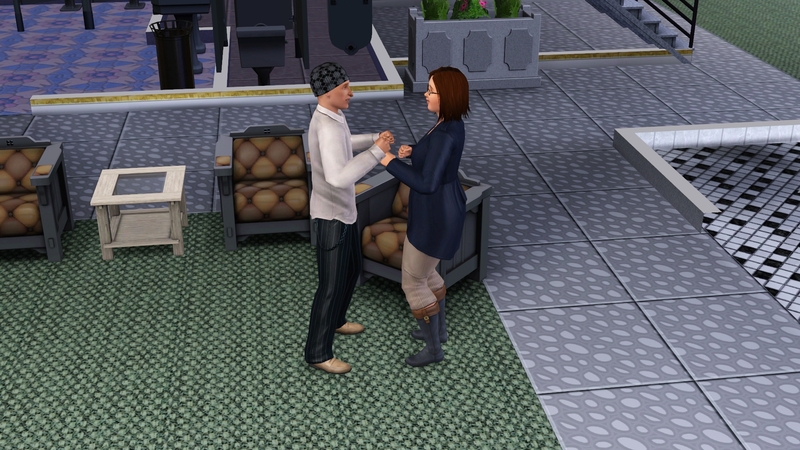 Knowing that she needed to start a family soon, I set Terra to begin wooing him immediately. I found out that the great thing about Darren is that no matter what time Terra visited the community center, he was always there. I don’t know where or when he slept because the center was never closed and no one else ever manned his station. It meant that Terra always knew where to find him and if he was busy, she’d just read until he was free. It did mean that what they could do was limited, so they would dance to the pop music being piped into the center. Or Terra would scare him with a ghost story. Meanwhile, Terra had earned enough money to afford her own workbench so she could now work at home. I think she enjoyed it and her blowtorch a little too much. She must have gotten carried away because the next thing I knew, there was an explosion and Terra was blackened and only in her underwear. 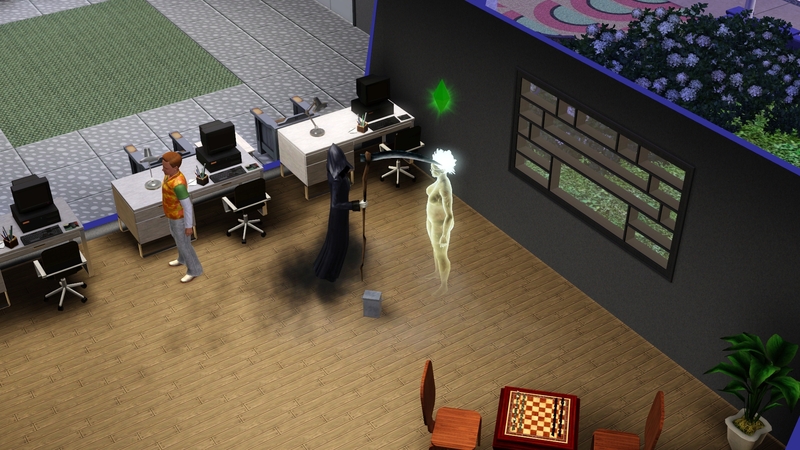 She had the Singed moodlet and I didn’t really understand what it was or how to get rid of it. But I figured it meant no more inventing for the time being, so she went off to the community center again to make out with Darren, who didn’t seem at all bothered by this. She then went over to the computers in the center, keen to earn some money from logic puzzles. That’s when I realized that she had the option to improve the computer, which could give her handiness skill. In retrospect, this was a horrible idea. But the Singed moodlet said that she shouldn’t repair any electronics so I didn’t think improving electronics would be a bad idea. Of course I was proven wrong when a few seconds later, Terra was electrocuted to death. 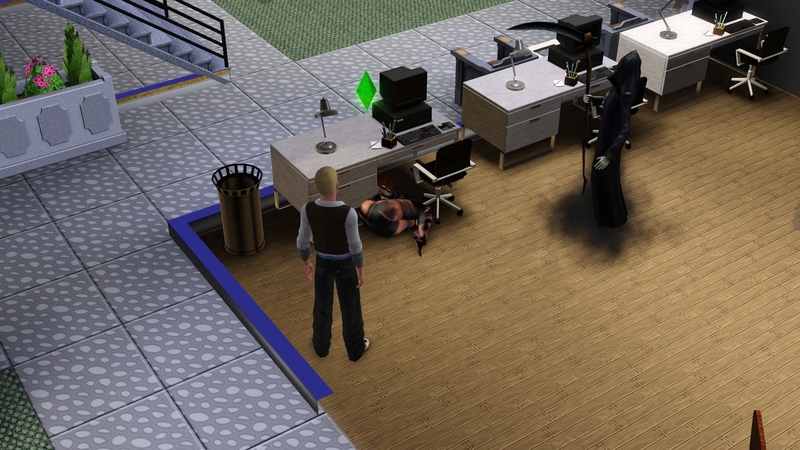 So my first Legacy Challenge ended with my founder dead, singed and in her underwear in a public place. She didn’t even have a child to carry on her lineage. All I can say is…oops!